Most entrepreneurship programs and incubators focus on the young. Seasoned professionals are typically seen as a good source of unpaid labor as portrayed by Robert DeNiro in the movie The Intern. Like a fine wine that gets better with age, older professionals offer invaluable skills and are often overlooked as innovators. Vera Wang, Julia Childs, Nina Zagat, Stan Lee, Laura Ingalls Wilder, Chris Gardner and more were over the age of 40 before success embraced them. 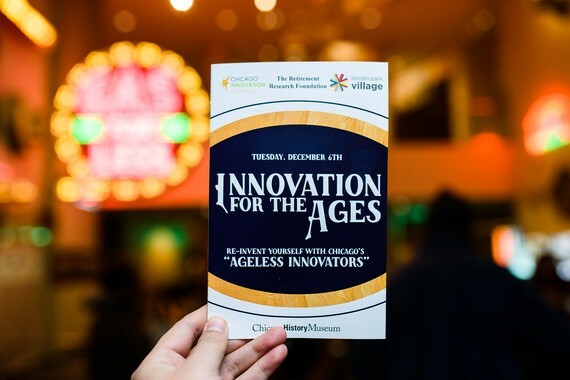 The Chicago Innovation Awards, Retirement Research Foundation, and Lincoln Park Village understand the value of mature workers and celebrated market disruptors over 60 at their Innovation for the Ages: Ageless Innovators reception held at the Chicago History Museum. As Dan Miller, co-founder of the Chicago Innovation Awards, pointed out, "Our mature workforce or gray hairs have a lot of ideas...it's just a matter of nailing down the technology. We are reinventing retirement." Tom Kuczmarksi, co-founder of the Chicago Innovation Awards and moderator, said "Rather than retire many are 'unretiring' filled with innovation, imagination, and creativity." Irene Frye from the Retirement Research Foundation summed up theme perfectly noting, "We are challenging age-ism through imagination, patience, failure, improvement, and wisdom." If anyone attended with a notion that this would be akin to "early bird dinner," they were pleasantly surprised. The event was energizing and engaging. Panelists were innovators long before they had gray hairs. Neither gray hairs nor retirement suppressed their zeal for innovation. 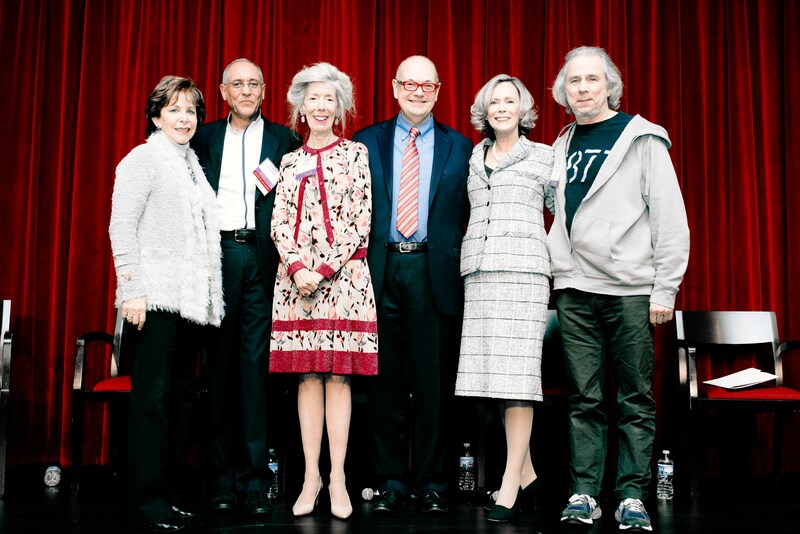 The panel consisted of Howard Tullman, CEO of 1871, one of the fastest growing incubator programs for entrepreneurs; Terry Savage, nationally syndicated financial columnist and first woman trader on the Chicago Board Options Exchange; Tawfik Sharkasi, former Chief Science & Technology Officer at Wrigley and co-founder of Long Shot Innovation; Dianne Campbell, founding director of the Chicago Children's Museum and Lincoln Park Village; and Judy Bross, reporter and entertainment writer and co-founder of Classic Chicago magazine. As a child, my grandmother would say, "There is wisdom in these gray hairs." I have always valued the sage advice and mentorship from those that have "been there and done that." I looked forward to hearing the knowledge of these seasoned innovators. The night proved insightful and humorous. Below are snippets of wisdom. Terry Savage gave perspective when she said, "50k Americans are over 100 years old. By 2060, 900k Americans will be over the age of 100. You don't have to sit around doing nothing. Every day is an opportunity to do something interesting. Never be bored. Age is nothing but a number." What does it take to make real success? Howard Tullman shared his 5 Ps to success: passion, perspective, preparation, principle, and perseverance. He noted that the road to success is a messy process and you must make room for mistakes. Be around supportive people. Dianne Campbell echoed that sentiment saying, "Not being too afraid because you have to be a little uncomfortable that it won't work." Tawfik Sharkasi shared, "First, fall in love with your idea. Second, ask why would someone use or pay for it? If you cannot answer the second part then maybe you just have a good idea." Terry Savage emphasized, "Do whatever you can do to reach out to children," especially regarding financial literacy. Judy Bross grew up in a journalistic family. Although she misses parts of traditional journalism, she loves that technology makes articles searchable and shareable. Her magazine Classic Chicago uses millennials to keep an avid social media presence. Howard Tullman expressed concern. "People click and share. They don't read. There's a fear that [millennials] memorize not learn. Kids aren't learning, they are YouTubing. We need to move forward with experiential learning and teaching life skills via an entrepreneurial curriculum. Not everyone is meant to go to a four year college. Too many people look for affirmation. It's the mirror vs window analogy." Tawfik Sharkasi expanded on that sentiment noting that people think you must be smart to be innovative. However, he stated that being an innovator is a "life long journey and mindset." He noted this generation's tendency toward "group think, filtered information, conformity versus original thinking, and the [lack of differentiation between] fake versus real." He explained that in school, he had to go to the library, go through the card catalog and various materials to research an item. Because of this, he was exposed to a diversity of issues and opinions. Whereas, today internet search engines know our search history and information is filtered to give results similar to our own - filtered information that affirms what we think. Terry Savage noted, "You can't be happy or successful without perspective. After the Great Depression, people thought it was the end of America. After WWII, people thought it was the end of the world. There is no reason to give up. We've always survived. And that people is the Savage Truth!" My father always said, "The only thing that beats a failure is a try, so keep trying. It's okay to make a mistake, just learn from it and don't repeat it." I rephrased him and use the following as my motto: "Failure is an option and it's okay, just keep trying." Tom Kuczmarki said that he does not call it failure, but a pivot. Howard Tullman's advice was similar, "Fail forward." Tawfik Sharkasi shared with the audience that he repeated his senior year in high school. He noted that it was a wakeup call that changed him. Terry Savage gave us this ditty, "Replace your divots and turn on your pivots." Terry reiterated that it's all in your attitude. She said that her grandmother used to say, "In my service to others, I find a cure for my own ills. For me, to give something back, you get the energy back." Tawfik said the diversity of people and culture motivates him and enables him to be the person he is today. Dianne noted that "you should invest in yourself." Howard's benediction, "Right now is the time. There is no perfect time. Lean into opportunity. You never know who is going to bring you your future." ."